Katya joined SYSTEMIQ in September 2016 to build and run the investment side of SYSTEMIQ, as she is passionate about finding creative ways to mobilize private capital towards social and environmental issues and is keen to deploy her experience in finance towards this aim. Katya is currently acting as Chief Investment Officer, overseeing our emerging investment activities. Katya studied Politics, Philosophy and Economics at Oxford University and got her MBA from INSEAD. Prior to SYSTEMIQ, she worked in impact investment and innovative finance at Dalberg Global Development Advisors and in private equity at the Russian Direct Investment Fund, a $10bn Sovereign Wealth Fund in Russia, originating and executing investments in agriculture, retail, e-commerce and financial services. 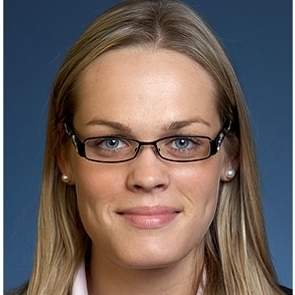 She began her career in M&A, working at Lazard and Deutsche Bank in London in the Consumer & Retail sector. In her spare time, she likes to run (half-marathons, marathons, ultra-marathons…) and travel. She is a volunteer for London+Acumen (impact investing network) and Techfugees (tech community response to the refugee crisis) and a mentor for the Cherie Blair Foundation.